Haha. I've actually never asked myself that and I might be a little worried now. I've always had this very detached means of character creation and I almost feel I'm more along for the ride than anything else. 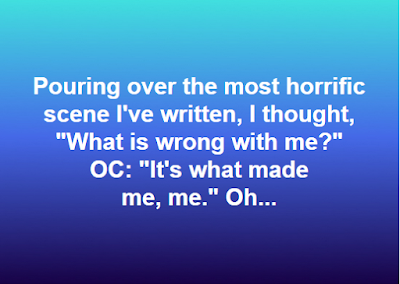 It's only in rewrites that I find issue. Heh... Happy writing! OC = original character. As to your opinion, omen! I say that to myself sometimes. 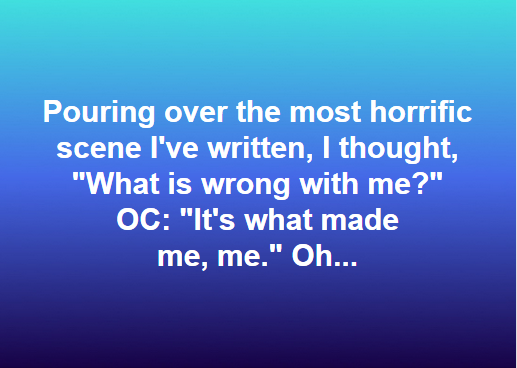 "What is wrong with me!" Well, often. But then I just let it go. I'm over 60 and am whom I am. You always seemed younger to me, just through all your energetic efforts. You remind me of my father that way, meant as a compliment. Hurray for heroes who strive to be themselves!